Not only is there a vast space above the surface, but the ocean is also home to much romantic scenery on the bottom. Fish species, diverse marine species, shimmering coral reefs, etc. are the things that I would like to touch once. I yearn to travel the sea, dive into the sea on vacation. But it seems that too much work and they are waiting for me to solve, that I do not really have time. 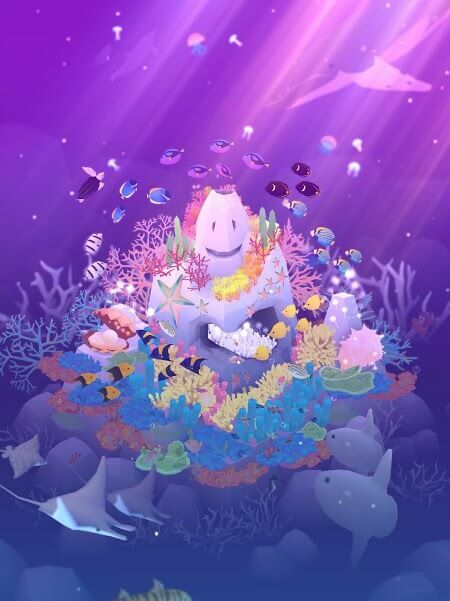 Not long ago, I learned Tap Tap Fish – AbyssRium, I have discovered many beautiful things in the sea right on my phone. How about you? Do you love the sea? If you also want to explore the beautiful scenery that the sea brings, do not skip this game offline! 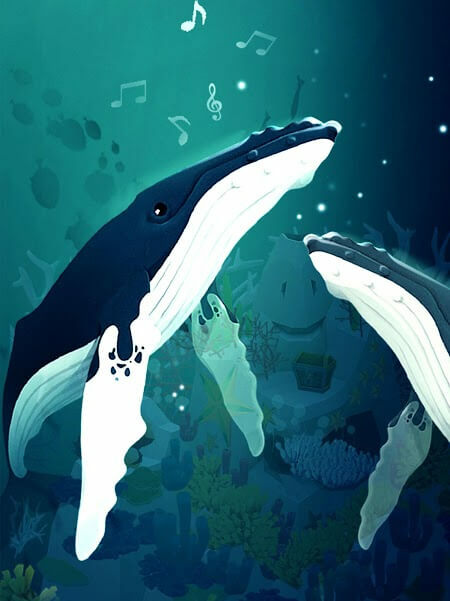 Tap Tap Fish – AbyssRium is a simulation game and has quite an idle gameplay. 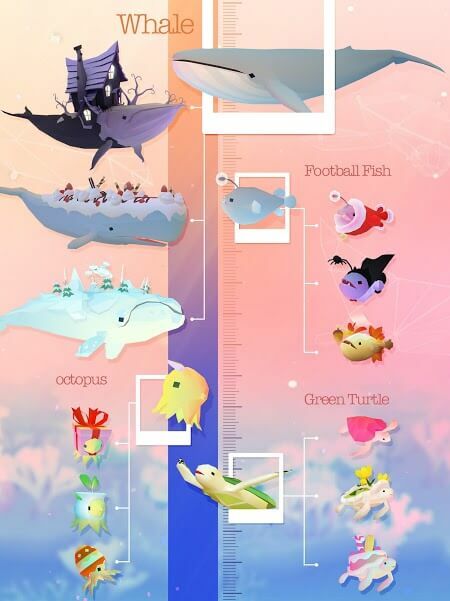 Joining this game, you will be diving into the sea and building your own aquarium with marine creatures and plants — the main interface of the game when you begin to have a large rock called Lonely Corallite with some coral and some fish swimming around. When you grow coral reefs, they will continuously give you resources so you can buy and upgrade other items. When you have a lot of resources, use them to buy new fish. The game offers hundreds of fish that you can collect, nourish and make your aquarium brighter. Besides, the indispensable is the coral tree, for example, Fresh Seaweed, Red Sea Fan, Mysterious Starfish, Staghorn Coral Fralige,… Each different coral species will yield production resources together. You have to spend some great resources to buy them, but you can take profits from that investment quickly. Besides, if your land grows beyond the limits, you can expand your aquarium with the Expand function. Cheetah’s publisher has used a sharp 3D background in its game. As you can see, the landscape and the fish in the aquarium of your design extremely authentic, effects and physical movement are handled very well, creating a smooth and very natural. Besides, you can experience the feeling of being at the bottom of the sea, having fishes swim around, and in front of you with virtual reality mode as well. Regarding sound, the success of the game is due in part to the lovely, well-melodic background music that makes you feel relaxed. 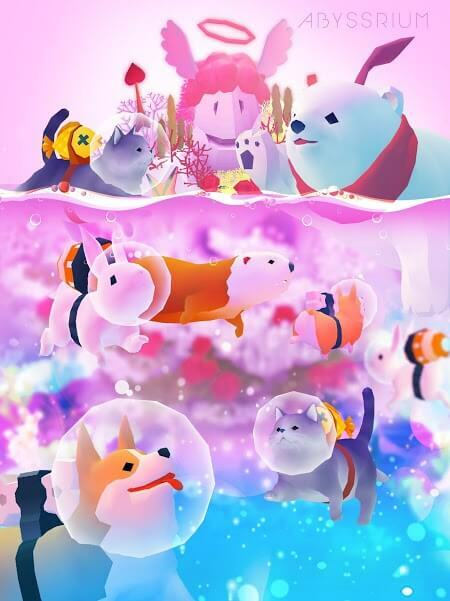 In general, Tap Tap Fish – AbyssRium not only has gentle gameplay but also offers a romantic setting for the person to experience. At times of fatigue, you can dive into the peaceful sea, discover the rustic beauty of the sea, play with the fishes. This is a game that helps you relax effectively, so download this game, and rest, regain the spirit to work more effectively.